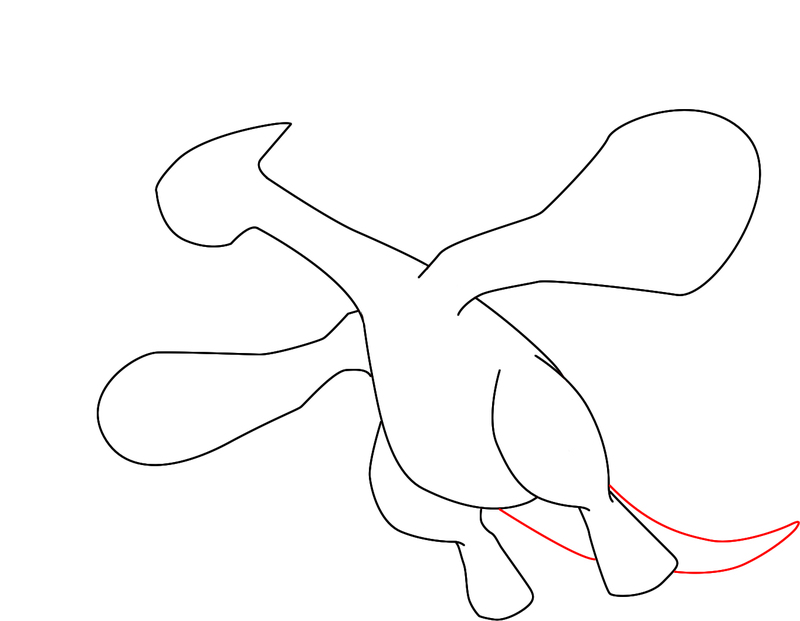 Today we’re back on the wagon with more Pokemon tutorials– this time, how to draw Lugia. 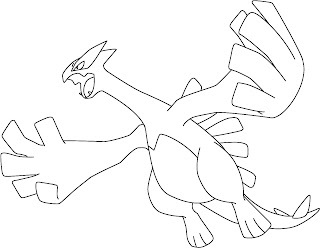 Since Lugia was always one of my favorite Pokemon, I was glad to see this request come through my inbox. 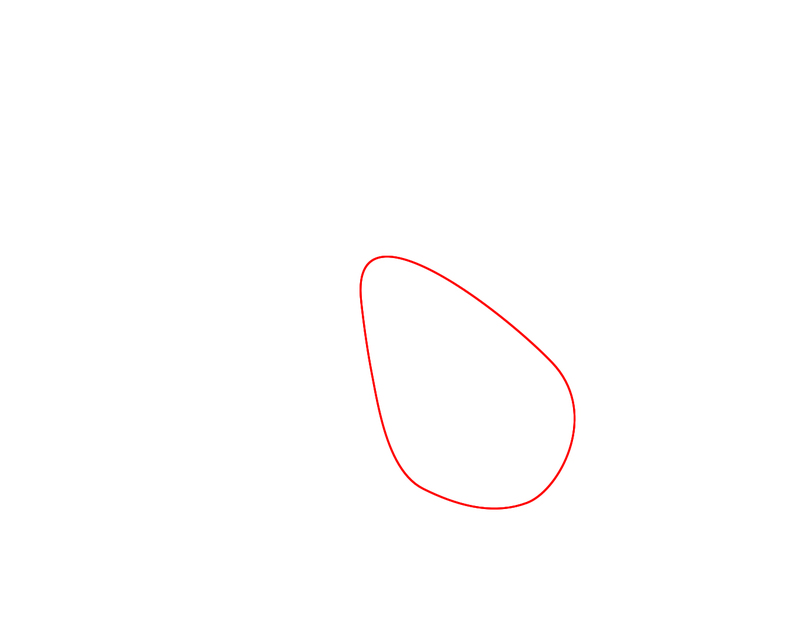 To get Lugia started, first draw a large egg-shape which will be the midsection of his body. 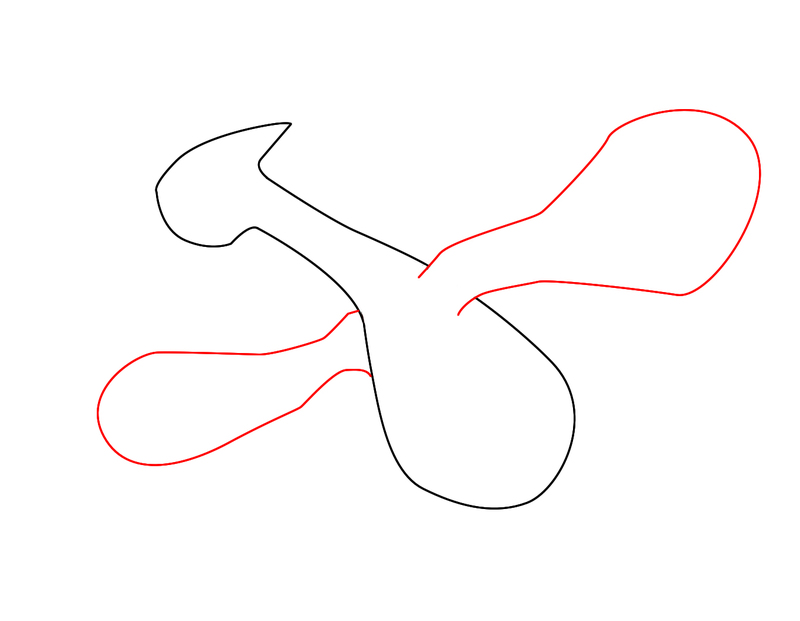 Now we need to draw his head and neck extending from his body, to form almost and axe-like shape. Draw Lugia’s two large wings that get wider as they go outward. 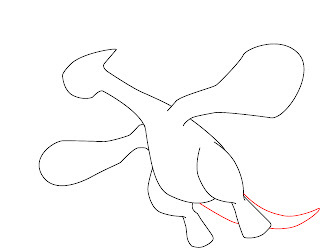 Draw the outline of Lugia’s legs which should be just a little shorter than the length of his wings. 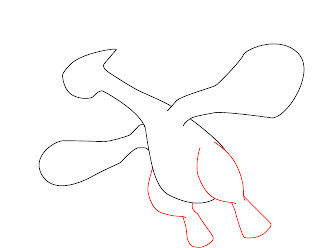 Draw Lugia’s tail just barely showing from behind his legs. 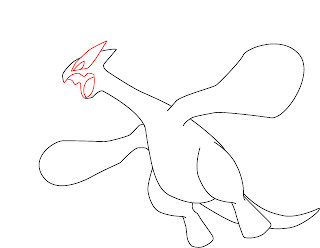 To make Lugia’s face, draw a thin triangular shape extending backwards from his head, with a small open space in the middle for his eye. 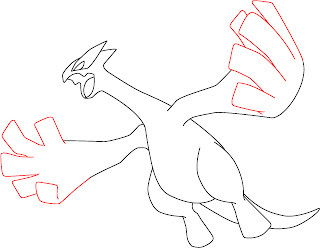 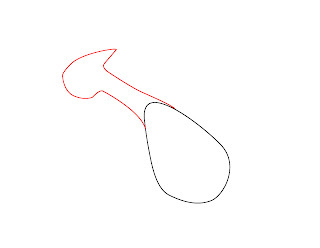 Outline Lugia’s mouth by following the lines shown in red on the left. 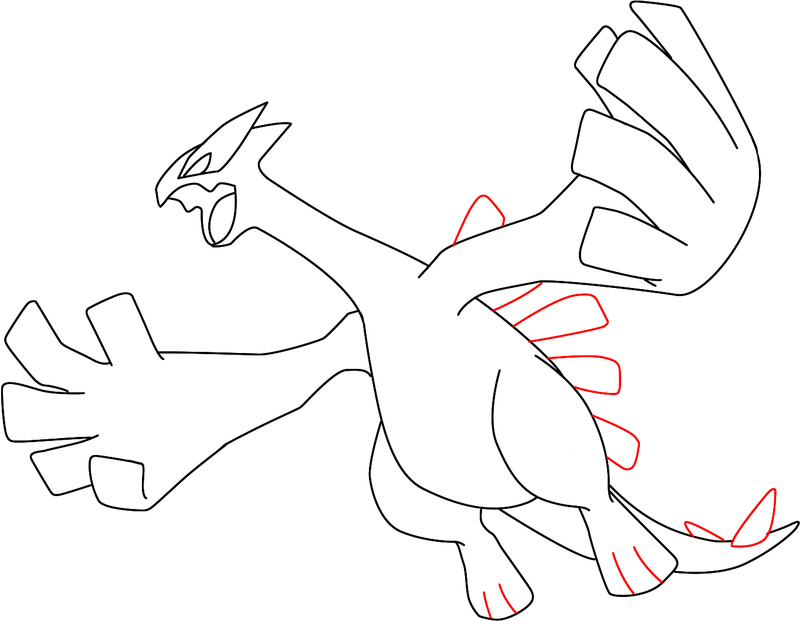 Give Lugia five squared off feathers at the end of each of his wings. 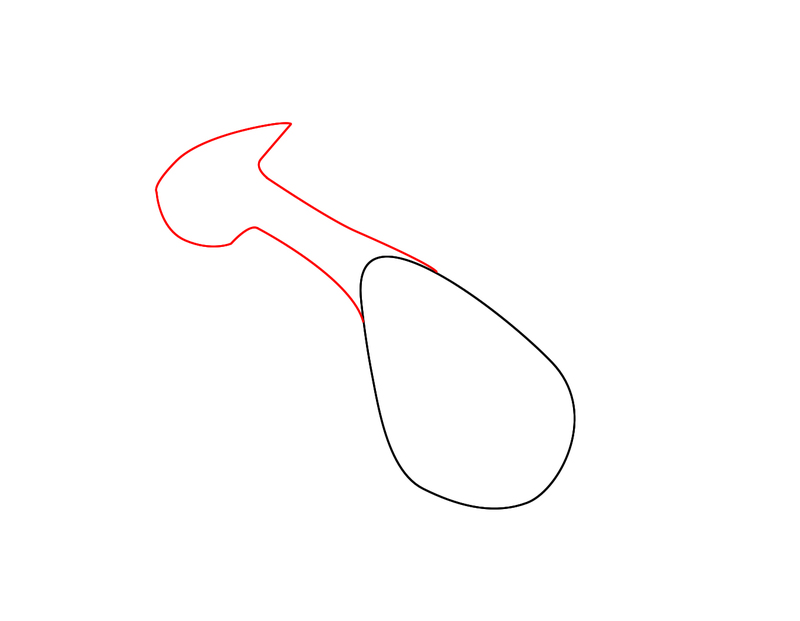 These feathers should really look more like fingers than feathers. 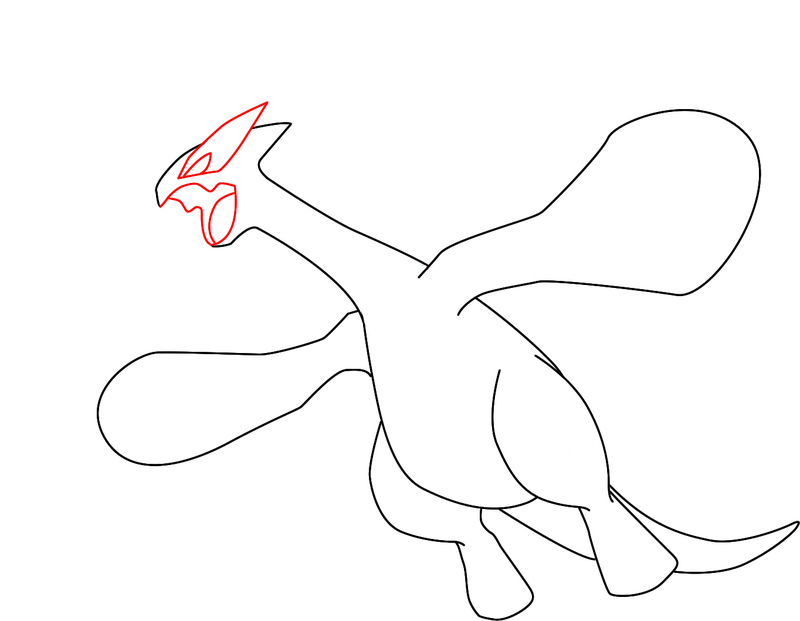 Draw about five spines running down Lugia’s back, and two spines at the tip of his tail. 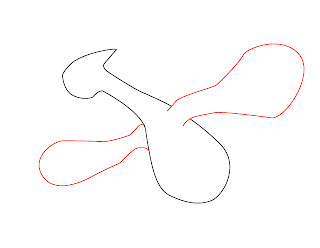 Draw two lines on each of his feet to form his toes. 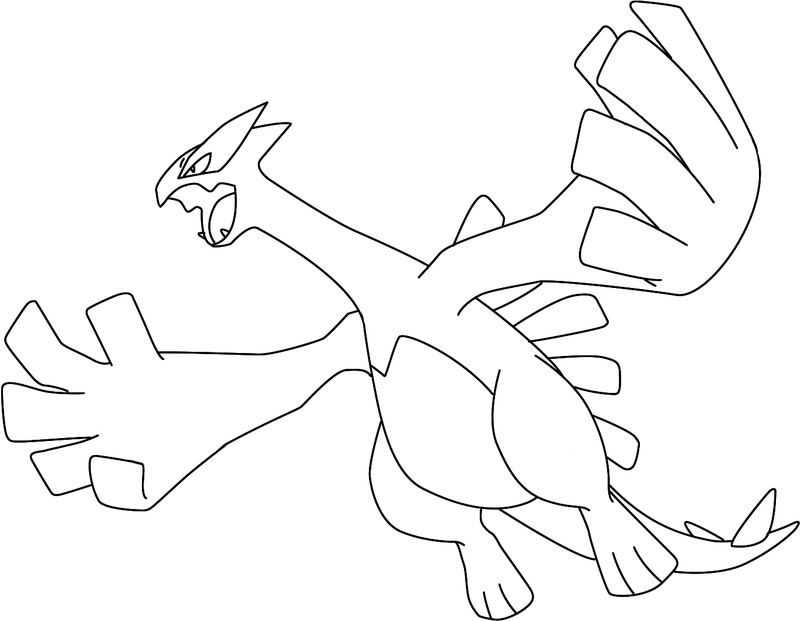 By now Lugia is just about done. 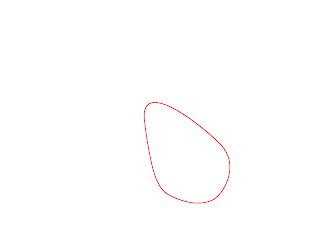 All that’s left to do is draw the large circular pattern on his stomach and give him a few teeth.